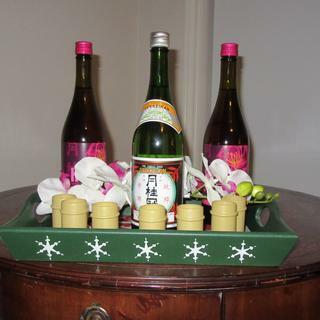 These Plastic Bamboo Shot Cups are the ideal shot cup for your upcoming tiki party! Add some authentic flair to your next tiki party with these Plastic Bamboo Shot Cups. These plastic shot cups are the smartest way to keep glass out of the hands of those party goers near the pool. Made of durable, hand-washable plastic, these bamboo shot cups are reusable and festive enough to match your favorite summertime shot concoctions. Coming in a pack of 12, two-ounce cups, these little shot glasses might not be made of real bamboo, but that won't stop you from enjoying your tropical shots with a more cost-effective and practical alternative. Get yours now. Great cups. They are easy to clean. The look is plastic, but it worked for us. I am putting in a pool in my back yard, and I don't want any glass containers, glasses, bottles, etc. Do you have in 5 inch or 6 inch tall plastic bamboo cups? BEST ANSWER: We do not have plastic bamboo cups that tall. The closest thing we offer is our Plastic Tiki Cups. Cheers!